We welcome all kinds of pets here, and have lots of woods for you and them to roam on (as long as you scoop the poop). Pets should remain on a leash and in your control at all times when in the park area. We have campfire rings for s'mores, hot dogs, singing or just listening to scary stories. Many guests have barbecues and/or smokers, and there are picnic tables in various areas for socializing. We have a playground with a full swing set, monkey bar, etc. Reserve now to save your spot in the shade. Mud Creek Off-Road Park is 1 mile down the road from Shady Pines. It offers 4000 acres of mud trails and 2 signature events. Pending re-opening. Thousands of tourists come to the flooded mud pit, and in October there is Mudtoberfest -- lots of beer and offroading. See the Mud Creek Off-Road Events Calendar for a list of upcoming events. The Oak Hurst and Peach Tree Golf Courses are located right next to each other off of Highway 69 between Tyler, Texas and Jacksonville, Texas. Locally, we also have The Woods Challenge Golf Course just 1 mile away. It has a clubhouse, bar, swimming pool, tennis courts, restaurant, fitness room and events. Considered "diamonds in the rough", these beautiful courses offer challenge and splendor for golfers of all levels. Adrenaline Rush Zip Line Tours is a well known and exciting East Texas attraction. As far as ziplines in Texas go, this attraction boasts one of the LONGEST zip lines in TEXAS - the "Adrenaline RUSH Zipline". This East Texas zip line is approximately 1700 ft long! Just incase you missed it, it is one of the MOST "Fun Things To Do In East Texas". 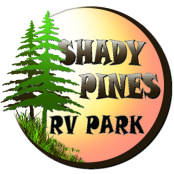 Our wooded area is great for backpacking, camping, or just going on a quick stroll. And in the back we have an ATV pit for the 4 wheeler lover -- bring your own toys. East Texas has several lakes that are available for day use -- swimming, water skiing, and fishing. There are 4 lakes in the immediate area -- Lake Jacksonville, Lake Stryker, Lake Tyler and Lake Palestine. You might want to try "stick" fishing or even set up a trot line. Tyler Lake has boat and pontoon rentals. Check out the Jacksonville Chamber of Commerce for more information on local events.